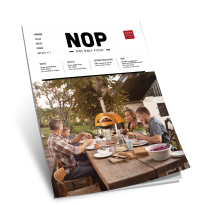 Get your Free buyers guide and learn what you have to look at to choose the right wood fired oven! Alfa Ovens is the best deal of the year and the perfect chance to take advantage of incredible savings. During the event you’ll enjoy huge discounts on a wide selection of ovens???????? Here’s what you get during this event! When you look at the best quality, reliability, and … Alfa offers an entire range of outdoor domestic ovens able to satisfy all the needs of those love flame and good cooking. By choosing Alfa Ovens, you get not just an oven, but a style of life, made up of elegance, modernity in tradition, practical beauty in rounded shapes and unusual colours. If you’re in search of a new and versatile cooking solution, enable to share time and fun with your family and fires, getting around the fire and coking good food, Alfa oven is what you need. London Essex Hot tubs are the exclusive retailer of Alfa ovens in Hertfordshire and North London. We’re proud to display an extensive range of various sizes and models in our showroom in Loughton. Our teams of experienced landscapers and designers would be happy to assist you with all you need to build-up your bespoke outdoor kitchen. Whether you are looking for a professional outdoor kitchen or a free standing wood-fired oven for your garden or terrace, you’ll be served to o an extremely high level of professionalism at all times, in a friendly and approachable environment. The Alfa Oven, performs at a wide range of temperatures which can be sustained from 300 degrees to well over 1000 degrees. With Alfa’s innovative,proprietary flue system , it is able to reach cooking temperature in approximately 10 minutes- which is considerably faster than other ovens as well as most standard charcoal grills. Alfa’s features give the user the versatility and flexibility that cannot be found in traditional cooking units – gas , pellet , charcoal or ceramic. None can do everything an Alfa can.